Ripping Yarns: "Lido Fashion Parade"
Busy activity, Entertainment, Light activity, Teenage, Fashion. 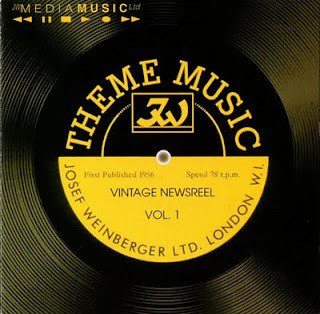 [JW Theme Music] Vintage Newsreel Vol.1 (JW2041) Light classical library ranging through to early rock & roll sound-alike instrumentals. First published between 1956 and 1965, remastered from the original 78s on the JW Theme Music, Impress and Audio labels. Artists include Ronald Binge, Ivor Slaney, Ernest Tomlinson and Syd Dale. Bummerooski, Mr Primate, the link's expired!